The MIT Sloan Fellows program is a year-long, full-time executive MBA program. The program has four components: two orientation periods in April and June that students are strongly encouraged to attend, followed by three academic terms in the summer, fall and spring. The entire month of January is dedicated to participating in Sloan’s Independent Activities Period (IAP), a four-week term that allows Sloan Fellows to branch out and take a more diverse range of classes than during the rest of the year. There are 111 MIT Sloan Fellows in the 2018-19 class, representing 37 countries. On average, Fellows accrued 14 years of work experience before matriculating into the program. Nearly 24 percent of the class is female. Tuition for the 12-month MIT Sloan Fellows program is currently $132,500. With the included costs of housing, books, supplies, food, and other fees, the total cost comes to $179,798. All MIT Sloan Fellows seeking loans must complete the MIT graduate loan application to determine their eligibility for loan options. U.S. Citizens and Permanent Residents are eligible for both government and private loan programs, while international students are only eligible for private loan options. MIT Sloan Fellows are eligible for a number of scholarship opportunities, including Dean’s Fellowships, Fulbright Grants, and Legatum Fellowships for students committed to starting a business in a low-income country. The MIT Sloan Fellows program does not stipulate any hard admissions requirements, but they note that only candidates with at least 10 years of work experience and an undergraduate degree will be strongly considered for the program. 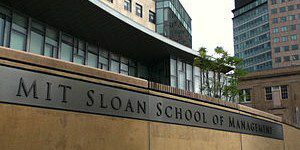 Applicants to the MIT Sloan Fellows program must submit GMAT or GRE scores (which can be waived with certain good grades) a resume; a statement of objectives and an essay, a 60 second video which can be found on the program’s online application; two letters of recommendation; official transcripts of any undergraduate and graduate degrees; and a $250 application fee. The program also requires sponsored applicants to submit a funding letter and applicants whose native language is not English to submit TOEFL or IELTS scores. Active U.S. Armed Forces members are eligible for an application fee waiver. Application deadlines will be updated in the near future.